Medical bills can seem overwhelming to many patients. Balances often exceed the amounts that patients can pay at one time. For this reason, doctors assign patients to payment plans. A payment plan specifies a certain amount that must be paid each month (or other specified time period) until the balance is paid off. 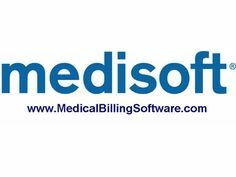 Medisoft can track which payment plan is assigned to each patient. Additionally, it can flag patient accounts if payments are missed. Click the Lists menu and Patient Payment Plans. You are going to see the following screen. Here you can give the plan a description, as well as specify the day the first payment will be due, how often payment will be due, and the amount of payment that will be due each period. Make your selections and click Save. Open the Patients/Guarantors and Cases screen by clicking the Lists menu and Patients/Guarantors and Cases. Find the patient you wish to assign the payment plan to and double-click on that patient. This will open that patient’s record. Click the Payment Plan tab. Here you will be able to select the appropriate payment plan for this patient. After making your selection, click Save. The program will now track the scheduled date for the next payment and the amount to be applied. If the patient follows the payment plan (e.g., the patient pays the required amount by the required date), the account is excluded from any collection letters that might be prepared. If the patient does not follow the plan, the account will be included in any collection letters that might be prepared.